Sharil possesses a uniquely diverse experience in both public and private sectors. He has an unparalleled international experience in the technology, media and communications (“TMT”) space. He has been involved in numerous initiatives by the International Telecommunications Unions (ITU), Commonwealth Telecommunication Organization, World Bank, and the United Nations Development Program. Sharil is regarded as an authority on internet governance from his work with ICANN and GAC, and he has hands-on regulatory reform experience with the World Trade Organization on the development of reference papers in telecoms and postal services. 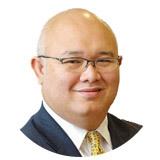 During his tenure at Malaysian Communications and Multimedia Commission, Sharil spearheaded the modernization and transformation of the Malaysian telecommunications industry and also consulted on Trade and Economic Cooperation agreements for Malaysia with Japan, Australia, and New Zealand. Sharil is also a highly experienced strategy advisor and has led various projects, public-private partnerships and corporate transactions. Sharil was instrumental in a recent international cross-border M&A in the automotive sector. Sharil also mentors multiple startups and scaleups across the world. With ASEAN Advisory, Sharil is focused on policy and government affairs advisory in the ASEAN region and strategy advisory outside of Malaysia.